Show-stopping, indeed! 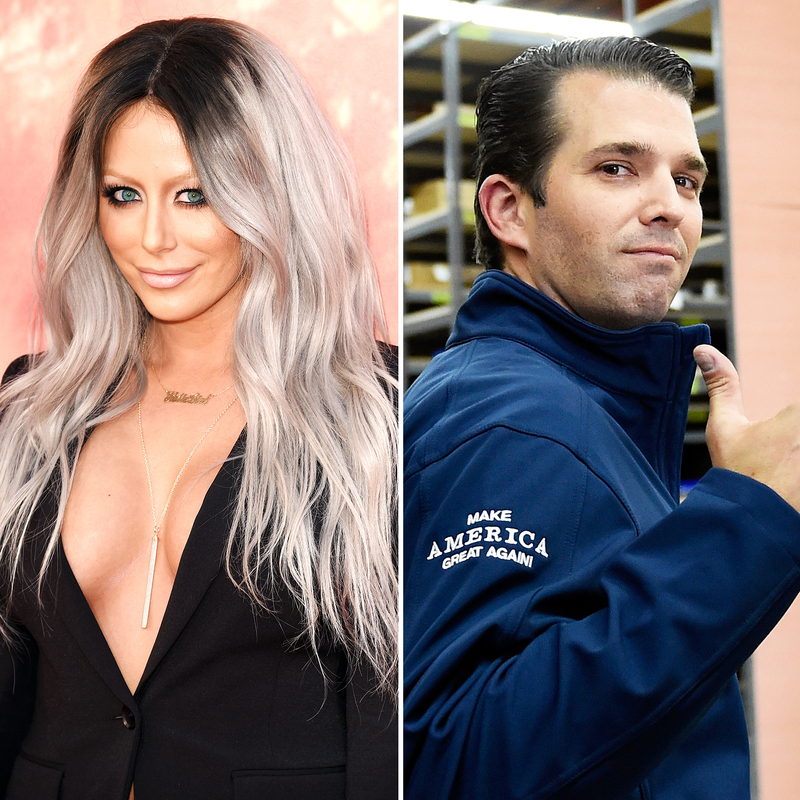 Aubrey O’Day was reportedly kicked out of the New Year’s Eve event she was performing at in Larry Flynt’s Hustler Club in Las Vegas, after refusing to sing “Happy Birthday” to her ex, Donald Trump Jr.
TMZ reports the request was allegedly not in O’Day’s contract for the event, which was promoted as a mock birthday party for President Donald Trump’s eldest son, who turned 41 on Monday, December 31. The site posted a video in which the Danity Kane songstress, 34, can be seen exiting the club in a shiny purple dress with a deep V-neck as a security guard yells at her team to “get out” of the building. The “DJT” singer referenced her former fling with the businessman with a cheeky photo that showed her standing in front of the White House in Washington, D.C., in a T-shirt bearing the words “F—k Trump” on Instagram on November 10. Multiple sources confirmed to Us Weekly in March that Don Jr. cheated on his wife, Vanessa Trump, with the musician, whom he met on season 5 of Celebrity Apprentice in 2011. “Things started up with Aubrey and Don Jr. toward the end of the taping,” a source close to O’Day told Us at the time. Though they became serious fast, even trying for a baby at one point, the entrepreneur ended things with O’Day in March 2012 when Vanessa, 41, found email exchanges between the pair. The socialite, who shares kids Kai, 11, Donald Trump III, 9, Tristan, 7, Spencer, 6, and Chloe, 4, with the TV personality, filed for divorce from her husband six years later in March 2018. He has since moved on with former Fox news host Kimberly Guilfoyle and posted a photo on Instagram showing him celebrating his birthday at Mar-a-Lago in Florida with his girlfriend.